The City of Marysville in Yuba County and Yuba City in Sutter County, along with SACOG, partnered to create a unified vision to address crumbling infrastructure, improve mobility and accessibility across jurisdictional lines, and ultimately strengthen regional connectivity. The 5th Street Bridge is just one of two ways to get across the 73-mile long Feather River and connects two cities and counties, as well as many other rural communities in the area. The bridge represents more than just a way to physically cross the river — it showcases interagency cooperation and the importance of connecting within the region itself. The 5th Street Bridge was built in 1958, three years after the original bridge was destroyed in a flood. Since then, Yuba City and Marysville have grown and the need for a better-equipped bridge that could serve the residents of the region could not be ignored. The improvements will include a new four-lane, 10 span cast-in-place post-tensioned concrete box girder bridge which connects 5th Street in Marysville to Bridge Street in Yuba City. This project also has the potential to improve transit services, as buses previously were not fully able to operate and provide adequate service across the bridge, and bicycle and pedestrian safety will also be increased. 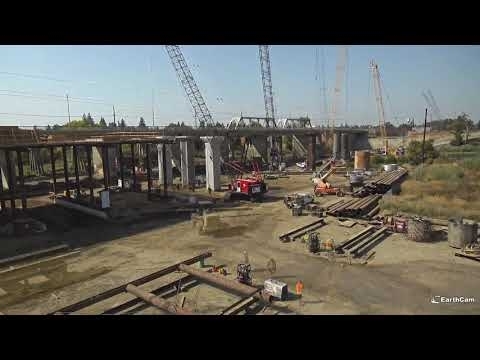 The bridge was made possible through multi-agency cooperation and the Sacramento region understanding the need to invest regional funds in a local project. The SACOG board awarded the project $20.6 million from Regional Surface Transportation/Surface Transportation Block Grant Program Funds, understanding the regional importance of this project beyond the local impacts. This bridge will improve local traffic flow, which will then impact the region, expanding economic opportunity by being a stronger connector between jurisdictions, and playing a part in achieving greenhouse gas emission reductions.